Good morning! Katherine, Kiggies5 on Instagram, here with the April sketch. I think I must have a thing for circles…lol! 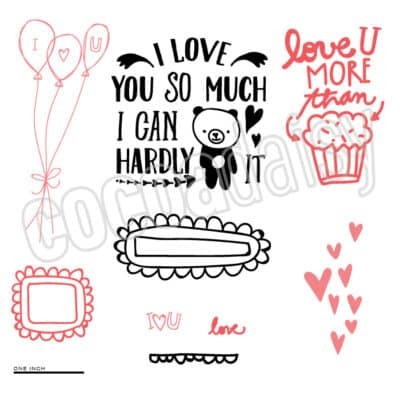 You can use the circles for photos, patterned paper or embellishments. 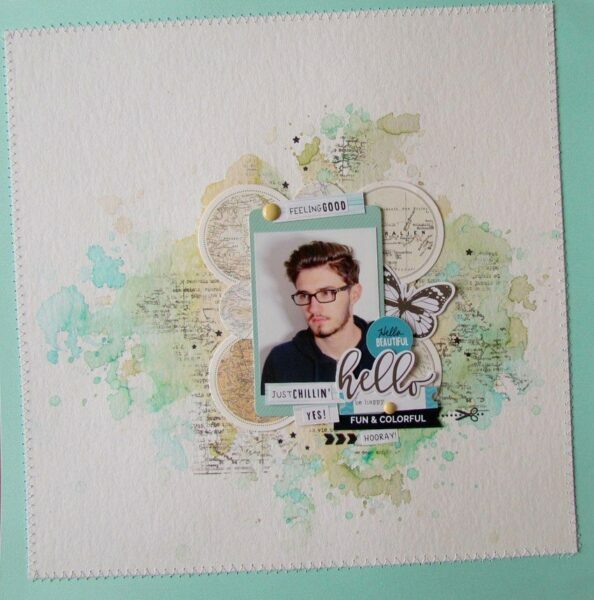 Don’t be afraid to use it as inspiration for a card, pocket style or a 12X12 layout. Have fun and enjoy! Come and take a look at what our talented design team created! 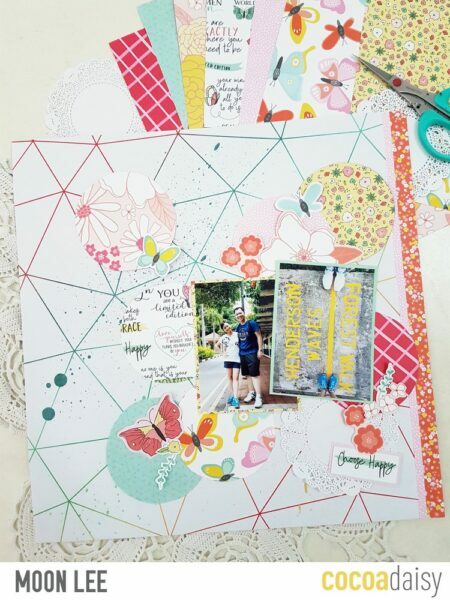 Kylie selected a theme of papers from many past kits from the last 12 months as well as different die cuts and stickers. 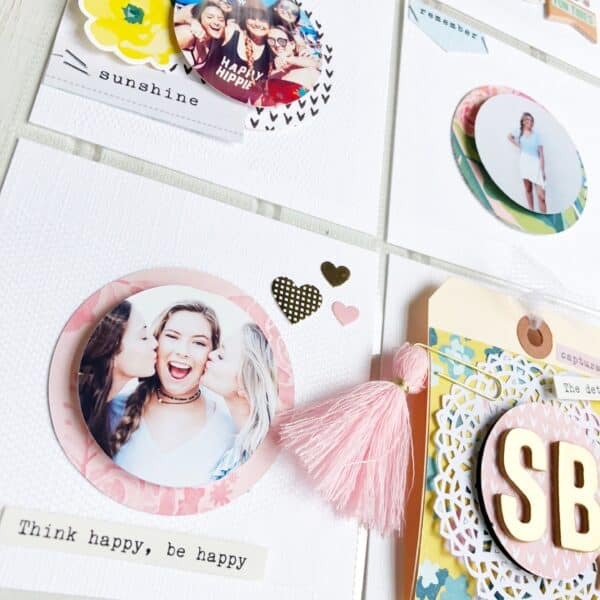 I love how she used a scalloped die for her circles and foam tape to the back of the top circle to give dimension to her layout. I love the extra detail with the stitching. Snap Chat filters are so fun!!! Moon Lee realized after she trimmed the circles out, that they were a littel bit smaller than she wanted and used them as the background instead. I love the bright colors and all the embellishments. 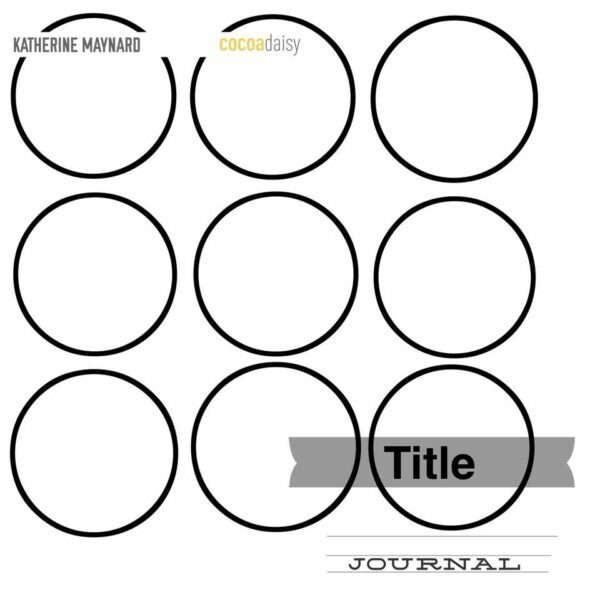 Celine used the sketch in clustering all the circles are behind her picture. 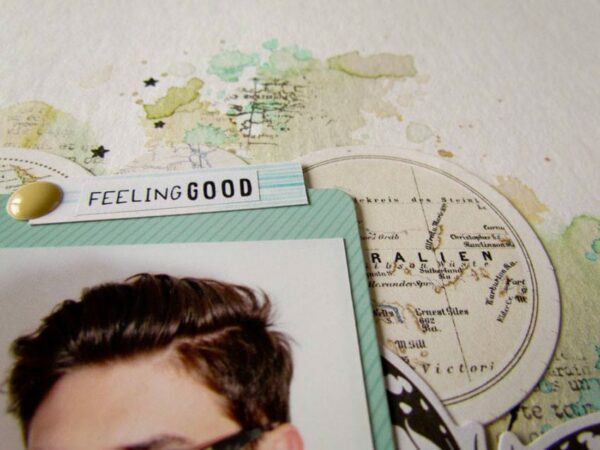 Her background is made with distress oxide and it’s gorgeous! 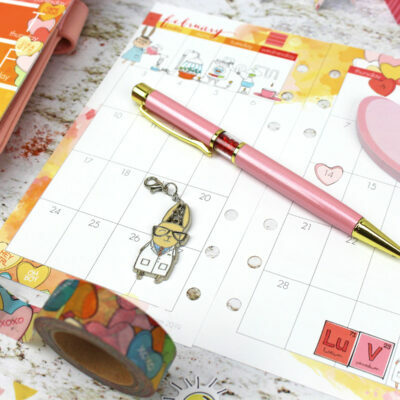 In this layout she used elements from the March, February and January kits. 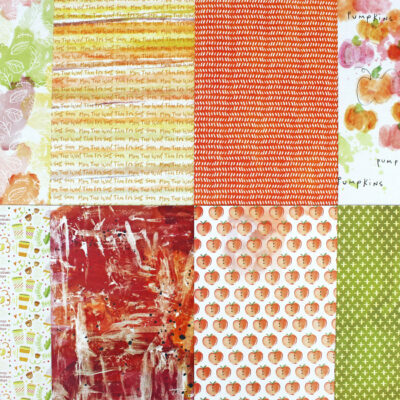 On my layout I used several past kits with coordinating patterned paper. I too, like Kylie, used pop dots to give dimension to the page. I like adding subtle texture with tulle behind my photos. See pictures below of close ups. The tassel, doily and tag were from my own stash. I love to hide my journaling or extra photos behind tags. I hope you will use this months sketch! Please don’t forget to tag us on social media, #cocoadaisy #cocoadaisyAprilsketch.